It was the year of 1952. Dark clouds appeared on the horizon for the Jewish people of the former Soviet Union. The fate of 3,000,000 Jews was being weighed. The infamous "Doctors Plot" began to take shape. World-renowned medical professors, the doctors of the Kremlin had been accused of a conspiracy against the Politburo - (cabinet members of the Kremlin). The doctors were called "murderers in white gowns, the enemies of the people". They were thrown in jail, beaten and tortured, some of them dying at the hands of their tormentors, most of them admitting their "guilt". The hatred and badgering of the Jews was intensifying. Day after day central newspapers printed millions of publications spreading news about the conspiracy of the Jewish people in such ranks as doctors, managers of plants and even members of the Communist Party. Demonstrations and public meetings were held accusing the Jews for being traitors of the Communist Party and the Soviet citizens. It was clear that the extermination of the 3,000,000 Jewish people of the Soviet Union was imminent. > To allow the "honest" Soviet citizens to express their anger against the Jews by organizing pogrom thereby killing one-third of them. > Stalin as the "father of humanity and a symbol of mercy" will try to save the Jewish people by isolating them from the angry Soviet citizens. 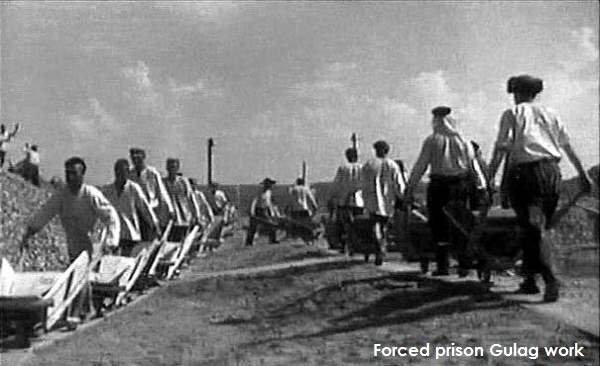 They were suppose to be transported to a remote area of Siberia where 40,000 barracks were prepared to "save them", thus one-third would be killed by pogroms, one-third will die from hunger and cold while being transported to Siberia and one-third will be "saved" in Siberia. During these desperate and tragic times in Jewish history, Chamah "Chavurat M'zakei Ha-rabim" was established. Rabbi Moshe Nissilevitch, a young man in his 20's gathered a few young adults and swore them to secrecy. Actions were taken to uplift the morale of the Jewish people, help the poor and educate the young. Rabbi Moshe Nissilevitch, the founder of Chamah was the source of inspiration of all the programs. A network of underground classes (3-4 youngsters in a private home) had been founded. A charity fund was established to help the needy. Thousands of tons of coal were delivered to the poor for the wintertime and food staple packages were distributed before the holidays. Matzah for Passover was baked underground and distributed to the Jews. Wedding ceremonies, circumcisions, Bar Mitzvahs, holiday celebrations and Jewish funerals were arranged. Distribution of Siddurim (prayer books) published in Moscow in 1957 and 1966 had been distributed throughout the country. The list of underground activities during that dark era can go on and on. These programs encompassed about 35 cities throughout the Soviet Union. Hundreds of people were involved not knowing about the organized activities. The activities were carried out in hiding from the watchful eye of the KGB (Soviet Secret Police). Today, to the founders themselves it is unbelievable how this work was carried out. In the 1960's members of Chamah organized the celebration for Simchas Torah Hakofas at the Synagogue in Moscow and Leningrad by students. This awakened the Jewish spirit of the young. The following year and the year after that, tens of thousands of youth were celebrating Simchas Torah. This ultimately led to mass demonstrations for Aliyah. This is when the world learned about the braveness of Russian Jewry. Even today nobody knows who was behind this action. IT WAS CHAMAH!